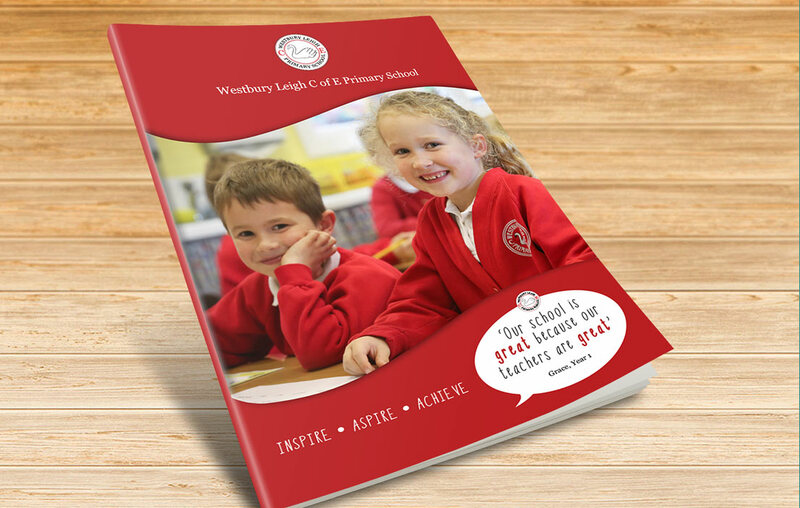 A bright, inspiration school prospectus design that promotes and exiting environment for where children can learn and grow. School office manager, Naomi Lawrence wanted something simple, more visual than informative and about eight pages long. She provided a more extensive brief together with their brand guidelines for us to follow. The school chose to provide their own photography due an existing contract (we also offer a photography package for schools). The design process included conceptual work to agree on a design to develop and several rounds of amends that were all catered for in the original quote. The final design boasts a bright cheerful colour palette and lots of great photographs, pupil artwork and quotes from pupils too, all of which adds up to promoting an extremely positive, inspirational, exiting environment for where children can learn and grow.